I'm not a big seafood eater but occasionally like salmon. I tried this recipe and cooked salmon for the first time! It was delicious! 1. Heat oil in a large skillet over medium to high heat. Season both sides of salmon with salt and pepper. Add salmon to skillet and cook 1 to 2 minutes per side, until golden brown. 2. 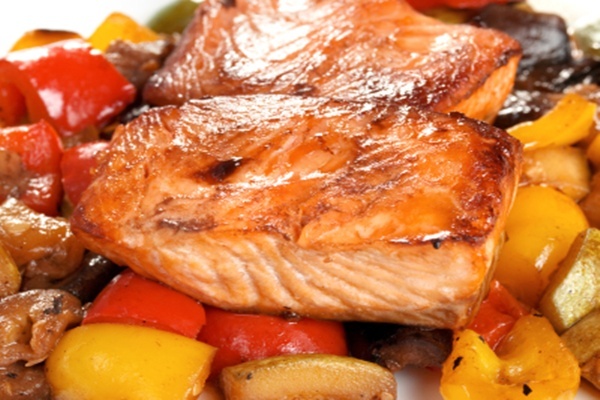 While the salmon is cooking, whisk together honey, vinegar, and red pepper flakes in a small bowl. Add the vinegar mixture to the skillet and simmer until the fish is fork-tender and liquid reduces and thickens. This should take approximately 5 minutes. The longer you simmer, the thicker the sauce.